We now enter that time of year that signals for most (but not all), the start of the Aussie ultra season. 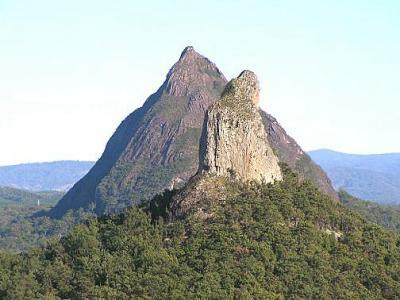 We have a number of cracking races coming up in September and the first cab off the rank is one of the races that started it all, the Glasshouse 100 trail races up in Beerberrum, Queensland. Race director Ian Javes has been organising and running the Glasshouse series for well over twenty years and as a runner himself, Ian has serious pedigree in knowing how to put on a great community event for ultra runners. For me, this race captures the very heart and essence of trail ultras, community-led, no fuss, no bother and a great spirit from everyone involved. The Glasshouse 100 has grown hugely over the last few years, even since 2008 when I first made my own foray into ultra running as a complete ‘noob’ with all the gear and no idea. The run has become firmly established as one of the classics on the Aussie circuit, and sees quite a few debut 100 milers performing on the wide open fire trails that dominate the course. Last year, it was also the scene for Mike Le Roux’s fastest 100 mile trail performance (note not the fastest ever 100 mile performance), by an Aussie with his winning time of 15hrs 38mins. So who’s in the mix this year? Looking at the starters list there are quite a noticeable absence in terms of what you might regarded as ‘recognised’ names, however a closer inspection reveals a few names on the list making their Glasshouse 100 mile debuts with some serious talent to boot too. For us, there are three names that stick out as potential winners of the men’s 100 miler; Ian Gallagher, Oli Zambon and Damian Smith. There are probably quite a few people who haven’t come across some or all of these names, so we’ll do our best to fill you in. Ian Gallagher, from Sydney is another one of those POMs (we get everywhere don’t we! ), who has some serious talent. A recent 2:41 marathon on the Gold Coast in June this year shows to us that he has some real speed too. He also finished the GNW 100 miler last year in 25hrs something off what we would also regard as ‘not a lot of training’ and having not seen the course before. Ian joins us regularly here at Ultra168, and he’s often seen running into the distance and burning up the hills while us bushwalkers ramble on behind him. Ian’s strength is fast flat courses and as such we think the Glasshouse course is going to suit him down to the ground. Another young gun talent is Oli Zambon, who smashed the 100km course record time last year with a cracking 9hrs 13mins. Oli is one of those guys who makes running look effortless and based on that time last year, there’s a good chance that he and Ian will be going toe to toe for much of the race. Oli has had a stellar year to date, winning three of his five races and a quality tenth place in the North Face 100 too and a time of 11:02. On paper and form, you have to give the nod to Oli for this race but expect him and Ian to bang heads for the best part of 150kms or so. 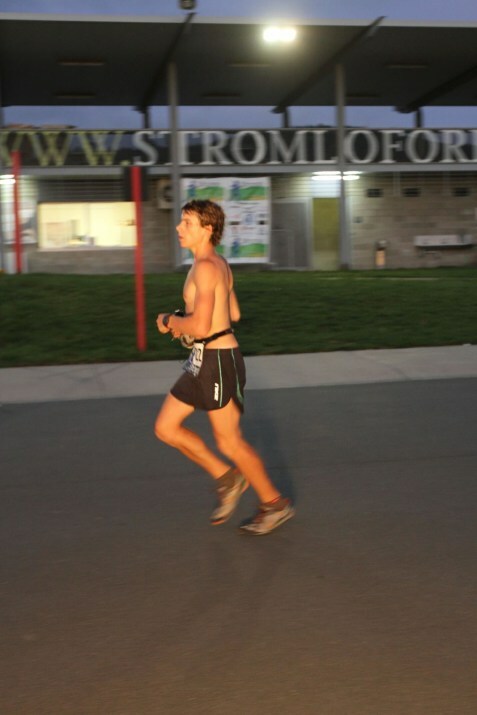 Oli won the Stromlo 12 hour track race earlier this year. Damian Smith is the ‘elder statesman’ of the potential contenders and his form this year suggests that he’ll also be right in the mix too. Damian started the year with a very good North Face 100, finished 13th overall in a time of 11:13, and just 11 minutes behind Oli. He backed that up with an 11th place finish up at the Mount Solitary ultra with a time of 5:40. If the other two guys slip up, Damian could be waiting in the wings to claim the victory. Our predictions? Oli Zambon to take the win, closely followed by Mr. Gallagher and then Damian Smith. Now what of the ladies we hear you cry? First off the blocks is Pam Muston who’s steady approach to ultras sees her as one of the most consistent female performers. Most recently she ran a sub 10 hour Gold Coast 100km race, which followed on from her victory in the inaugural Stromlo 12hr race where she clocked a very commendable 113kms. Last year she had a 33hr coast 2 kosci and at Glasshouse she has a sub 22 hour finish to her name too from 2010, winning the ladies race two years on the trot. But can she make it a hat trick this year? She’s going to have her work cut out against Melbourne dynamite runner, Nikki Wynd. There’s not much that Nikki hasn’t done this year already. Of her seven ultras to date in 2012, Nikki has won four of them with victories in the Tan 100km Ultra (8:52), You Yangs 50 miler (8:34), Maroondah Dam (5:09) and Mansfield to Buller (4:52). She also finished a very credible 12th in the North Face 100km with a time of 13:23. Nikki has been on the upward curve now for the last 18 months or so and is getting better and better with each run. We’re tipping her for the win here. But the girls might not have it all their own way, watch out for Marita Eisler and Lisa Hussey who both have 12:2x times to their names in the 100km version of this race and will certainly push the two favourite girls up front. Our pick for the podium: Nikki Wynd to take the win, with wildcard Marita Eisler grabbing second from Pam Muston in third. In the 100km race, it is to be frank, wide open and despite my searching the internet with my usual sources to look for form it is going to be pretty hard to pick this one as there are a lot of what appears to be new people stepping up to the 100km distance for the first time. One name that looks like a potential winner could be Daniel Nunan, who finished the cut short Bogong to Hotham earlier in the year in 4:49 – a pretty mean effort for the conditions that prevailed. Another interesting addition is a guy by the name of Matt Cheeseman, who according to the interwebs (if I’ve got the right one that is!) competed in duathlons in Europe professionally back in the 1990’s. Other than that there’s no ‘ultra’ history for Matt as such, but given his pedigree, you’d think he would be a pretty worthy contender. Time will tell come Saturday evening… Good luck to all of those running. Ben Duffus is the one to watch in the 100km – barely out of school and he’s got a win at Wildhorse 60km under his belt, and had the honour of escorting Jez Bragg around the hills at TNF100! My darkhorse and $10 each way is on Danny Greig…..Much fitter than last year (10th) and I don’t think will be far from the action. Hard to beat Oli on form though. You should run a comp on who can get the closest time (to the second) for legendary 11 time finisher, Bill Thompson in this years event.? I can only hope I am still completing 100 mile events at age 69!! Too easy Ben, not enough margin for error as Bill typically aims to have half an hour in the bank … in 2008 we shouted him back because he arrived too early! In seven of his finishes he’s come hime within 10 minutes (+/-) of the 29½ hour mark, though he has occasionally ripped the course apart with a shade over 28 … must be the steak and eggs from Jane at CP10! When we crewed for Bill at Western States (2 times), he arrived at the aid stations like clockwork, never more than about 2 minutes off schedule. Then, we proceeded to amaze, or disgust, everyone at the aid station by serving him steak, sausage, eggs, cream to drink, and at the half way point, a big glass of champagne. He always had a positive attitude, a twinkle in his eye, and an unshakable sense of himself. Good luck to all at Glasshouse! Nice one guys. We’ll see if there is any review gear that we could ship out and run a competition on Facebook with… stay tuned. Ben Duffus and Dan Nunan should be a great battle in the 100k. I’m looking forward to hearing about it.